Chess and photography being my major hobbies, it is perhaps surpising I don’t have more pictures featuring chess. This is one set up for purpose, I think from one of my own games (which I won :p). In chess there is a saying (first coined by Dr Tarrasch) along the lines of “it is not enough to be the better chess player; to win one must play better chess than the opponent”. It is not enough not to be racist; one must refrain from racist remarks. Since the first attempt at this was good fun, I’ll just keep it up! As promised, the second game is one where I am the one facing a kingside attack – playing black and having castled short. The server of RedHotPawn had a nervous breakdown but I’ve managed to reconstruct the part of the game that went south. I’m skipping through the early opening – White doesn’t play particularly energetic, but there is little sense in highlighting this. Heh yes, Deep Shredder drily informs me that, indeed, 12…Qxa3 is truly crushing. That was the point; Black wins back the piece and is left two pawns up but with the queen stranded. I also missed that White can at least win back the exchange later. Fortunately White will not only miss that in advance, like me, but even during the game. Because I didn’t fancy the mess after …Be6 Rb1 followed by Rxb7. Here I started to realise that my queen wouldn’t be able to escape after 17…c5 and 18…Be6, for example 17…c5 18.Nf5 Be6 19.Rb1 Qa3 Ra1, so I had to wait with …c5 leaving the a3-f8 diagonal open as an escape. Of course White should now have played Bb4 to win the exchange, and I think the bishop and two pawns balance against the rook. I don’t think either of us saw it during the game. Deep Shredder meanwhile thinks 19.f4 isn’t a mistake, but 20.Nxf4 is. Minor detail, I think. After this Bb4 doesn’t work anymore of course because of …c5. What follows is a lengthy part of manoeuvring where White realises he has to win via a direct attack on the kingside, being two pawns down on the queenside, and Black is trying to prevent White from getting a foothold. White starts by losing time. A slightly nervy moment but I calculated a bit and concluded there wasn’t any real danger. My point: I think this makes the pin on my knight harmless. I can unpin by moving the queen and the knight on d7 keeps both f6 and e5 covered. The problem is that this does immobilise that knight for a while to come, in effect making it difficult for me to get anything done. Now white loses the trapped bishop. Now I’m a piece and a pawn or two ahead but I’m stuck with an extraordinarily tight-knit defensive clump of pieces. At least I won’t be losing but I have to find a way to extricate myself. Realising that that wasn’t going to work…to be honest I’m still struggling to come up with a reasonable plan if White would repeat with 34.Ne6. Maybe something like 34.Ne6 Qd6 35.Rbe1 Rg8 36.Re2 Nf8 37.Nf4 Rg5 to get either that pesky knight or the f-pawn. In this line if ever White plays Qxh6 I’ll follow the same plan as in the game: central break combined with pressure on g2. Again a calculated risk. This might not be the best plan and it might lose me a pawn (d4 becomes chronically weak), but I reckoned that my opponent was unlikely to be good enough to truly punish me. In my experience, weaker players when material down and faced with a sudden change in the position (a counterattack, for instance) often go into “defence mode” which usually is what they shouldn’t do… but that’s what they do. Finally, I had gathered from the earlier part of the game that tactically he wasn’t so great – he had missed the complications after 11…Qa5+, missed 19.Bb4 and played 30.Nf4? Opening up the position to get into calculating waters therefore didn’t seem such a great risk. This at least gives me a target as well; d3 I can reach, c2 I couldn’t. The alternative was to play for a queenside pawn avalanche with …b5, …a6 but that seemed too slow to me. This is what I had in mind; pawn d3 needs constant care although because of the weakness of e6 there is no direct threat of me capturing it. White will have none of this however and goes for a mate that isn’t there; I strongly suspect that he missed my 42nd move, too, which gives me an instant win. 39.Rxe5? Qxe5 40.Ng6+ Rxg6 41.fxg6 Rg7 42.gxh7 Qg5! Not so difficult to see as the moves up to here were forced. This forces the queens off the board, leaving me with an easy endgame win. Due to the rook being on g7 White can’t even occupy the 7th rank to get some counterplay, and because I can recapture with the f-pawn he also has no counterplay on the kingside (two connected passed pawns might have become a nuisance for my knight). The plan is simply to get the a- and b-pawns rolling, but first I’m preventing his rook from entering via the e- and f-files. Now the pawns can start to move, protected from the side by the rook. The point behind Black’s 51st move. At the time of writing this game hasn’t finished but the only risk is me stalemating him; in any case that wouldn’t diminish any of the value – if any – of the game up to here. I like blogging about chess =D! or: my first attempt at chess “blogging”. If it takes too long I’ll drop it like a hot potato. Disclaimer: I do not claim to be a great, or even good, chess player. Mainly I am better than most of the opponents I play, and therefore I beat them (although that does sound like a circular argument, even). All games were played on the RedHotPawn website. The first game is maybe the least interesting, because I was already winning when I started the attack. It still features some neat moves, I think. 7. cxd5? Nxe5 8. dxe5 Nxd5? Here I made an interesting choice, based on the idea that Black will have a problem with his pawn structure after each of the three possibilities, and always with a gap on f7. Without looking at specific variations, this was approximately what I had in mind after playing 9.e6; Black is using a lot of time winning the pawn, thus giving me a nice lead in development (and his Queen still has to move before he can even move his e-pawn, increasing my lead in development even more). Now Black simply blunders following Nunn’s “LPDO” adage (Loose Pieces Drop Off). I remember spending a long time – probably late at night :-S – looking at 12…Bg6 but of course that simply loses a piece (12…Bg6? 13. exd5 Bxc2 14. dxe6 +- duh). 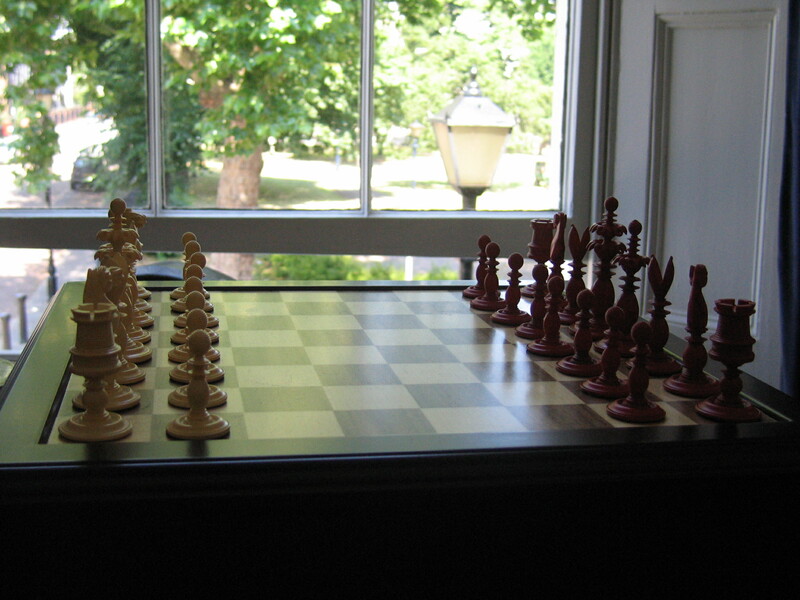 Material may appear to be equal, but in the middlegame a bishop pair is more powerful than a rook and a pawn. And Black still has a massive development problem, so White is winning here already. Black has to be very careful because all of White’s pieces are ready to quickly join in an attack. He isn’t. Loses definitively, although Black manages to find the best moves from now on for a while. The most accurate. Not 20. Qa6+? Qb7 and white is simply a piece down, and 20. Ba6+ leads to unnecessary complications. This forces the king out onto the d-file because of the mate after 20…Kc7 21. Qa7+ Kc8? 22. Ba6+. The dust has settled and White is easily winning based on material, let alone the fact that black is playing with just one rook. I decided to remove the pawn on c6 because it will give me the plan of promoting a queenside pawn; in practice attacking his king is much more efficient. 24…Rd6 25. Qc7+ Ke8 26. Nb5!? Flashy but not strictly necessary. Black has to abandon the c-pawn; after 26…Rd6 27. Bc4 forces the rook away anyway, whereas 26…cxb5? leads to mate after 27. Bxb5+. Now Black’s king is fighting alone against all three of White’s pieces, and he quickly goes down. 28… h5 29. Bc4+ Kg6 30. Qe6 Bc5 31. Qf5+ Kh6 32. Bf7 1-0.